Springtime is Ojai Pixie Season! Ojai Pixie season 2019 is going strong! We began harvest on the last day of February and have been going ever since– well, we have had multiple delays in picking due to that wet stuff falling from the sky. For the first time in many years we have had an average amount of rain. All the moisture has turned the mountains around the Ojai Valley green, wildflowers are coming up everywhere and the Pixie trees are about to bloom. Ojai has not been this pretty in years! We have a good sized crop of Ojai Pixies and will keep harvesting, packing and shipping until every last one has been gobbled up. The season should last into May. Enjoy them while they last! The best way to stay in touch is with our Instagram and our Ojai Pixies facebook page; social media is easier to update on the go. The Asian Citrus Psyllid in Ojai: This insect pest has arrived in Ojai, and the disease it carries is in our county around Somis and Moorpark. Please visit this page set up by Ojai Growers for regular updates. It is important that everyone in Ojai work together to keep this pest from wreaking havoc upon the citrus in our lovely valley. 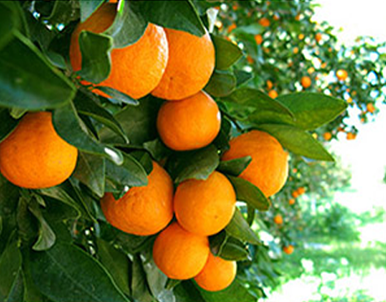 Ojai Pixie Tangerine Growers grow the best springtime tangerines. 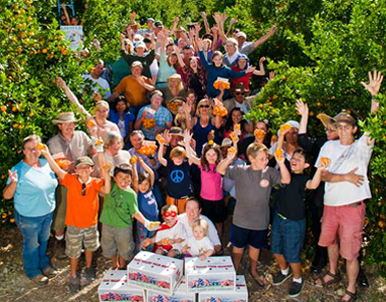 52 tangerine growers – family-scale farmers all of us – have a total of about 25,000 tangerine trees in southern California’s beautiful Ojai Valley. Our tangerines come ripe sometime in March, and we sell them both wholesale and direct for as long as we have fruit to sell, usually sometime in May or June. Please enjoy the season and let us know where you find our fruits. Click here for a list of places to buy Ojai Pixies.